marie dear: etsy shop + flickr. a new photographer, like last week. just started her shop on etsy in march. i really like the picture with the empty frames on the wall...so pretty in a kind of eery way. 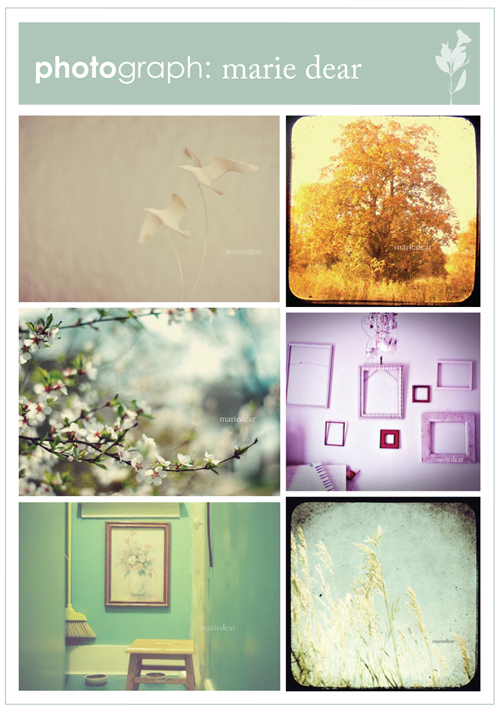 Lovely photos, i love the soothing colors. :) The appleblossoms have to be fav at the moment. :) After all, it is spring.